Rabi al-Awwal is here. The month of the Prophet's return to his Lord. Factually speaking his real date of birth is unknown, but his return back to Lord is well recorded. Indeed we are Allah's and to Him we must return. Unfortunately those who claim to love the Prophet and those who claim to follow him, most of us are quite ignorant or made to be ignorant about the Prophet by those who rewrote history later on. Fortunately some of the facts are still preserved until today but heavily censored. It is still traceable for those who are interested in truth and truth alone, they may connect the dots still. 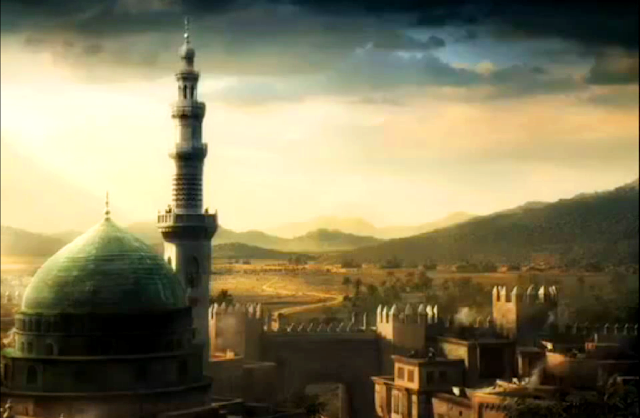 Good news is that if we trace back the suppressed history from the life of Prophet Muhammad, peace and blessings of God be upon him, by God's permission we may eventually arrive at the true ideal of Islam free from sectarian bias and schism which took hold immediately after his death and hijacked Islam.This is something Prophet Muhammad himself was very worried towards the later part of his life and he even expressed his concern by saying after the battle of Badr "I do not know how you will change after me!" Did you know that before Prophet Muhammad returned back to his Lord, he appointed a Commander in Chief, a Leader who was openly opposed during his life time by his own people (out of their racist and sectarian agenda) and Prophet despite his grave illness came out and stood on the pulpit and warned that whosoever oppose the Messenger of God in his appointment will carry God's curse. Surprisingly this man was neither Abu Bakr as Sunnis claim, nor Ali as Shias claim. That man was soon to be retired and he lived a life of exile outside of Medina. Who was he? Did you know that the Prophet asked for pen and paper prior his death but he was denied? Did you know that the most favorite men among his people was Zayd and Usamah, son of Zayd? Not what mainstream will suggest. Zayd is the only men who is mentioned by his name in the Qur'an and Usamah was know throughout Medina as the most favorite child from the most favorite couple of the Prophet who were married by him and Khadija. Did you know that the Prophet had a mother who cared him all along and she was not Amina who died when Prophet Muhammad was very young. This caring mother who was there when Prophet was delivered, this was the mother who lived with the family of Prophet all his life and who even accompanied him to his last battle at Hunayn and about whom the Prophet said "She is the remainder of my family." This woman is also heavily suppressed in the mainstream history of Islam. This woman raised Muhammad for more than twenty five years. Throughout the Quran you will find that God commands, obey God and obey the Messenger; then who introduced the idea that the companions must also be obeyed and followed? Didn't all religion became corrupt because of obeying those below the Prophet or Messenger? Did you know that in Islam aggressive warfare and war to conquer lands are forbidden and yet those who came to power did just that after the death of Prophet Muhammad and they did great injustice in doing so. Colonizing land and plundering the wealth of different land was not something that the Prophet came to teach or did. Who was the last person to with whom Prophet had the last conversation and for whom he raised his hand to heaven to supplicate to God? Did you know that this man had to force himself into exile! Did you know that the story about the so called great companions are mostly fabricated and later addition? You can hardly find them playing major role during the time of the Prophet, on the contrary many of the Quranic verses were revealed criticizing their very actions and violation of adab. But the mainstream history is exactly the opposite. Did you know that during the last major battle the so called famous companions all left the Prophet in the battlefield, those who protected and surrounded the Prophet are only few and surprisingly you will find little trace about their names or their children in the history of Islam. The Prophet throughout his mission trained and taught how to pray funeral prayer and yet after his death no funeral prayer was said for him. Lame excuses are put forward for it, but truth can never be suppressed. Did you know that the Prophet was left 3 days without burial and eventually was buried without funeral prayer which he taught his companions so many times over? Did you know that Ahl-al-Bayt is not about blood relationship but about those who followed in ideals and teachings? This is true among all previous Prophets. Noah's son was not his Ahl-al-Bayt, Lot's wife was not, neither was the wicked sons of Jacob. Did you know that the first few person to accept Islam are Zayd, Baraka and Khadija? Mainstream Islam will not talk about Zayd or Baraka because to them their embracing of Islam is not important! For them they were slaves (it only exposes their racism) but in the eye of the Prophet they were best of people and people from his Ahl-al-Bayt. Not the fabricated and racist Ahl-al-Bayt but the true Ahl-al-Bayt of those who followed the ideals of the Prophet to every letter. 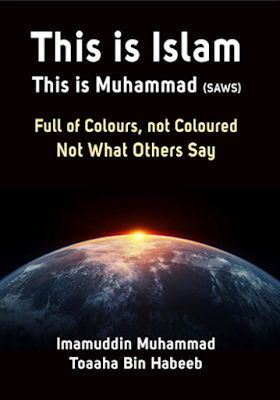 Let me introduce a book to you which will shed some light on the above suppressed history from the life of Prophet Muhammad and answer many of the questions raised above. Its a rare book in every sense and its just a summary from its original which is not in English but a project is undertaken to translate it in full as and when God wills. Meanwhile you may access and download the English version of the summarized version of the book as PDF. Click on the image below to visit the book's download page and may download from there. Truth is forever liberating and may this book help you question more and liberate your mind from the fabrication and lies and corruption of the Deen (True Religion of God). Ameen. Islam as of today has been turned into Mohammedanism. If you are a Mohammedan so far, may you realize that Mohammedanism is not what Prophet Muhammad came to establish. Just as Christianity, a new religion to be established in his name was not the mission of Christ. If you are Christian or Jew, may this book help you discover the One True Divine Religion which were communicated in every age by all Messengers and Prophets but again and again which was corrupted and divided, each sect rejoicing in what they got. The book is a great summary of the lost ideal of Islam and an acid test for all counterfeit ideas that is introduced in the name of Islam. It also provides a map to understand how Mohammedanism or Arabism or Qureishism or Sunnism or Shiaism is counterfeit Islam no matter what logic is given how emotionally they are played on the mind of plain believers. Those are nothing but giving lies in the name of God and that is the worst of crime and worst of oppression against truth. After reformation, anyone who go back to sectarianism is going back to Jahiliyya or ignorance. God is One. Mankind is one single family starting from Adam and Eve and spread throughout the vast earth. All men and women are equal in the sight of God and there can be no superiority or inferiority based on race, color, ethnicity, language or any other diversity which makes the creation colorful. Time and time again Prophets, Messengers and the illuminated human beings reminded mankind this same truth. God is One, Mankind is One Family. But Devil's mission is to cause dissension among mankind and the best place to cause dissension is through corrupting religion. So one single religion from God has become many religions through various fraction, sects, denominations etc. Hence gave rise to many groups, sects and religious ideology whereas all Prophets and Messengers came from the same God and preached essentially the same ideals. How religion get corrupted or become deviated from the original ideal or message has a pattern in history. It is noteworthy that while any Prophet or Messenger is still alive some one of the early immature jealous followers start the dissension. And when Prophet or Messenger is gone, some of these followers contribute more towards diverting the religion or manufacturing a completely new religion far remove from the original ideals and message. If we take for example just the case of Semitic religion(s), when Moses went to his 40 days and nights of retreat with God on the Mountain, his so called companions manufactured Golden Calf (symbolizing everything opposite to the ideals and message of Moses). Irshaad Hussain writes in his blog: "The worshippers of the calf had not turned against religion in and of itself – they were not rejecters of belief in God. They sought the divine but they sought it through the worship of a concrete manifestation - through a visible, tangible object, an idol - one constructed of ornaments that were a symbol of worldly wealth, power, and pleasures. They engaged in shirk (idolatry or association). Through this desire of theirs for a worldly, visible, ostentatious representation of the divine, they became deceived. This deception came about through the action of Samiri, a person who was endowed with a degree of knowledge and insight into religion, but who used that insight to fasify rather than clarify matters for the Israelites. Together with Samiri they became inventors of a counterfeit religion – a counterfeit belief - a belief that was a direct antithesis to the purity of the revelation that was simultaneously manifesting on Mount Sinai and within the heart of Moses. While this powerful descent of Divine knowledge occured on the heights of Sinai, at the base of the mountain a caricature, a parody of this Divine process was unfolding. This forgery emerged when the nascent belief of the Israelites was still taking shape and was, historically, still in it's infancy. This is perhaps, part of the reason for the Qur'an's harsh condemnation of their action. Samiri's deception was an attempt to "knife the baby", to kill or distort the religion before it took on an aspect of solidity and maturity, by creating a counter-religion. What does this mean? What is a counterfeit religion? It is one that imitates real religion, but it exteriorizes and materializes that which is above and beyond matter, that which remains unseen and that which is only represented by abstract symbols in real religion. It takes something which is, in its essence, non-material, super-sensory (beyond the senses), spiritual, of a higher order – and converts it into something of a lower order, one that is nevertheless compelling because it is immediate, tangible, material, worldly, easily perceptible. It makes a solidified (but gross and distorted) image here in this lower world and in doing so attempts to waylay or kill deeper understanding." After the death of Moses, it was not the Torah which the Jewish community held most close but Rabbinical Talmud took precedence. Teachings of Rabbis of much later generations became more dominating than the Commandments God and the message through Moses.The Talmud supersedes the Old Testament in authority for the Jews. The Talmud was written in Hebrew much later as a codification of the so-called Oral Law. The Messenger Jesus Christ who knew very well the degeneration of Judaism from the original teachings and the role of Talmud and its Oral Law said, “By the traditions of your elders you make void the Word of God.” (St Matthew 15). Lets look at the case of the Message of Jesus Christ. Immediately after the return of Jesus Christ to his Lord, what we have inherited in the name of Christ's teaching is more or less teachings of Paul and later personalities and slowly the original teachings of Jesus Christ got faded away. One of Christ's own companion Judas betrayed him even and it was him who conspired to hand him over to the Roman soldiers. In case of corruption of all major religion we see this pattern that with time the Message of the Messenger is covered up with the immediate people who eventually take up more important place than the Messenger from God. Islam is also not spared from this unfortunate trend. Whereas the scripture instruct to follow God and His Messenger, whereas the Messenger was directly communicated with the Message, later generation corrupted the religion by over emphasizing that the companions of the Prophet are also to be followed. One group of followers made the companions equal by raising their status same as the Prophet and beyond analysis and another group of followers made certain family members equal by raising their status infallible. Both groups are like opposite side of same coin, one is acting and another group is reacting. Just as Judaism and Christianity are two deviation from Abrahamic path and Abraham was neither a Jew or Christian, same goes to Shiaism and Sunnism in Islam. Prophet Muhammad was neither a Shia or Sunni and yet so called misguided followers now pride themselves as one sect or another - in complete violation of the Book of God which forbid them to create sectarianism, division and schism in the Deen of Allah or Religion of God. * What is the Authentic Date of Birth and Death of Prophet Muhammad? Truth is liberating. So much of Islam has been fabricated and corrupted that what we are left with is not really Islam but a corrupt version of Mohammedanism.